This year Without Limits is implementing a new aspect to our sponsorship program. We have decided to take field trips with all of our sponsored students in 6th-high school. This will give us an opportunity to expand their horizons, provide experiential learning opportunities and have more chances to pour into our students relationally. We are thrilled about these new opportunities and the adventures that we will have with our incredible students this year! We had our first field trip of the year in February with our 6th and 7th graders from Santa Matilde. We took a day trip to the city of Leon. For many of our students, it was their first time to visit the city. All of our students and chaperones in front of the El Calvario Church. 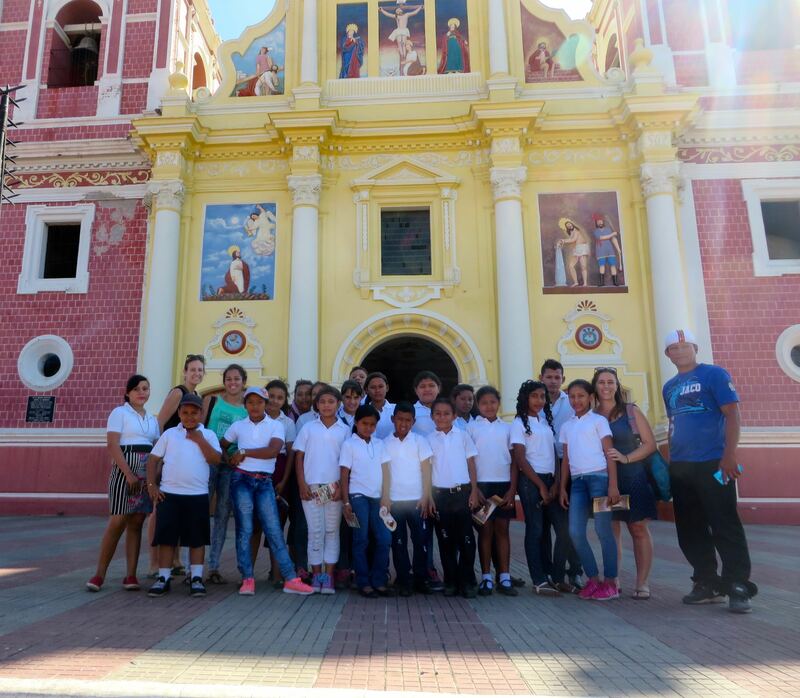 As soon as we pulled in to Santa Matilde, you could feel the excitement among our students. They whispered, laughed, and stared at everything out the windows as we pulled into the city. We spent the morning touring some of Leon’s churches, the Myths & Legends museum, and the Revolutionary War museum. Our students were amazed looking at the different churches with their stained glass windows, intricate ceilings and paintings of Jesus. We learned a little about each of the churches and when they were built. 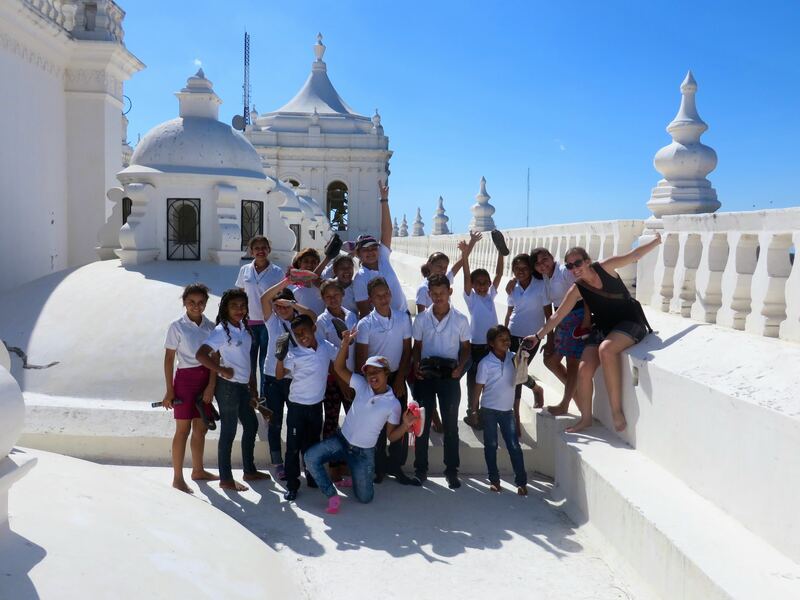 Our students on the tour of El Calvario Church. We then made our way to the Myths & Legends museum. 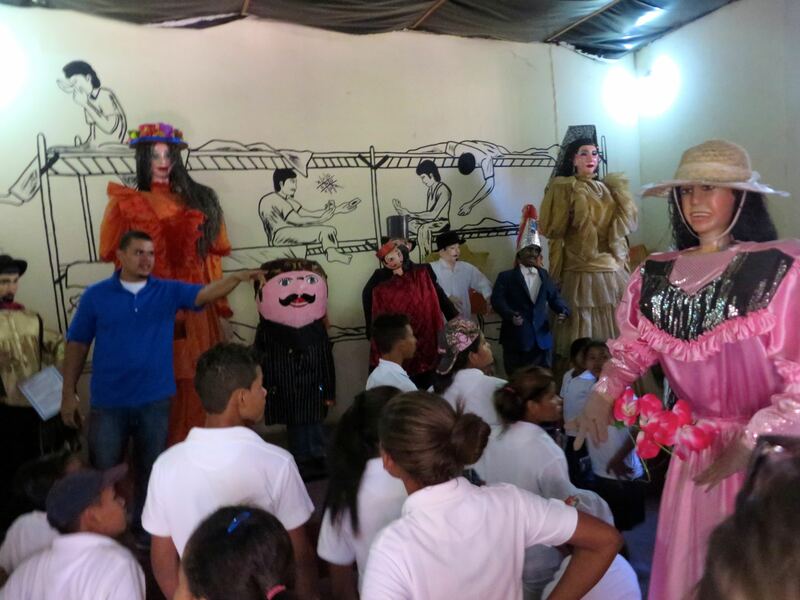 This museum showcases different myths in Nicaragua. The kids loved seeing visual representations of stories that they have grown up hearing. This museum is unique because it is built in a former war prison. Along with the Nicaraguan myths and legends, there are still paintings on the wall that were designed for prisoners. The old walls of the prison still exist and our students were able to climb them to look out around the city. 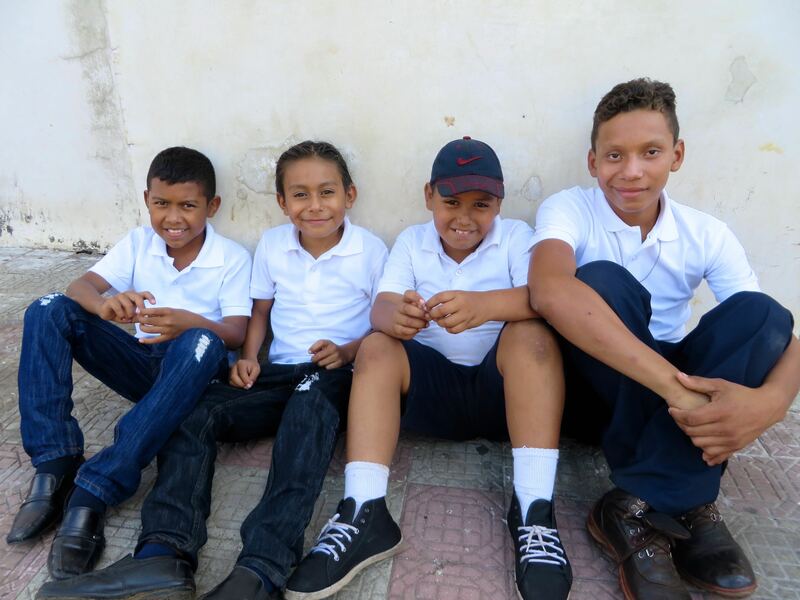 We were surprised to see how many of our students became fearful of climbing a staircase until we realized that there are no stairs in Santa Matilde and that many of them have not had a reason to climb stairs previously. After the Myths & Legends Museum, we made our way to the Revolutionary War Museum. All of the guides in the museum are war veterans. It was a wonderful opportunity for our students to learn about this significant part of their national history from someone with first hand experience. 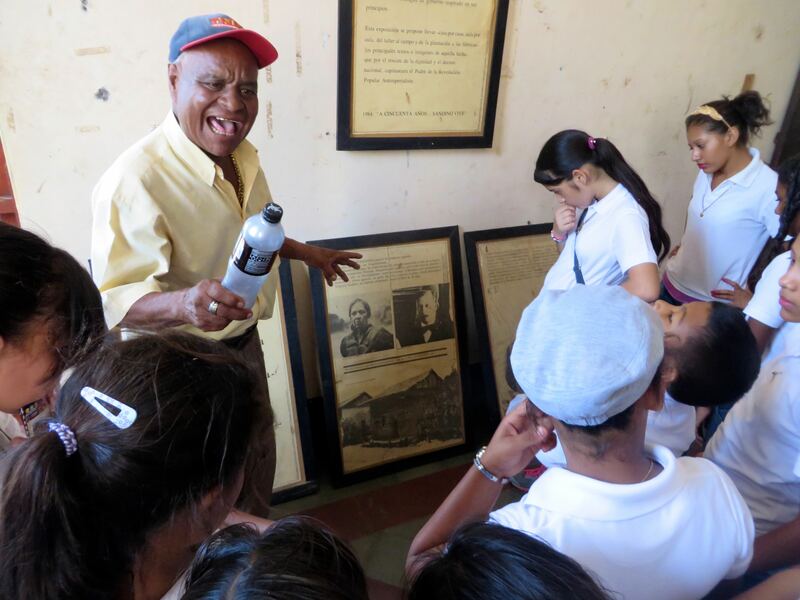 The students were engaged as he told stories from the war and explained the history of the revolution to them. Learning about the Revolution from a war veteran. They once again had an opportunity to climb onto the roof of the museum to take in the view of the central park and main cathedral. It was a beautiful view, although the tin roof had several places that are rusting through and the guide had the stand there to tell students where to step and where not to step. The students on the roof of the Revolutionary War museum. After touring the museums, we had lunch together. The students were excited about their plates of fried chicken, gallo pinto, tortillas and salad. This gave us a chance to rest for a little bit and ask the students about the tour and what they had been learning. We also had the opportunity to take the students to Kiss Me, our favorite ice cream shop, for an after lunch treat. Our last stop was the main cathedral at Leon’s central park. It is the largest cathedral in Central America. 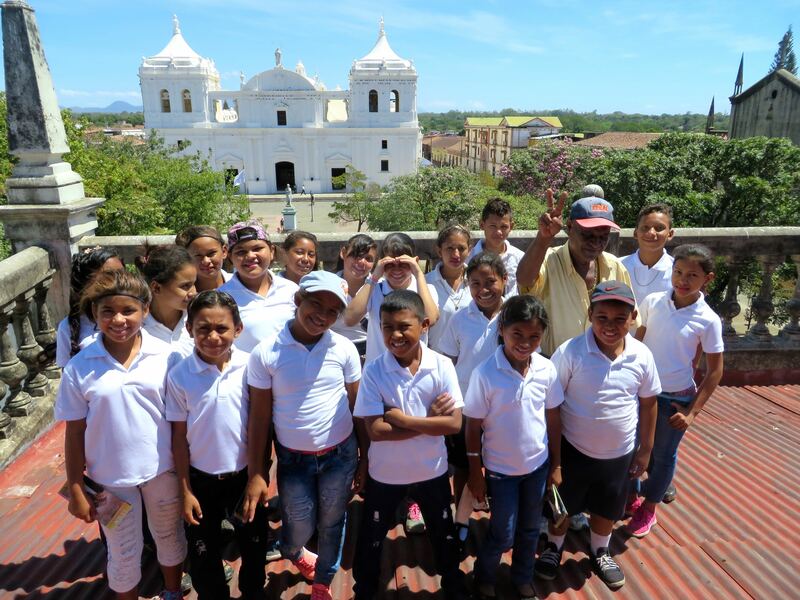 We climbed to the roof of the cathedral and the students were able to look out over the entire city of Leon and surrounding volcano chain. The top of the cathedral is one of the most beautiful spots in Leon and our students loved gazing out over the city. 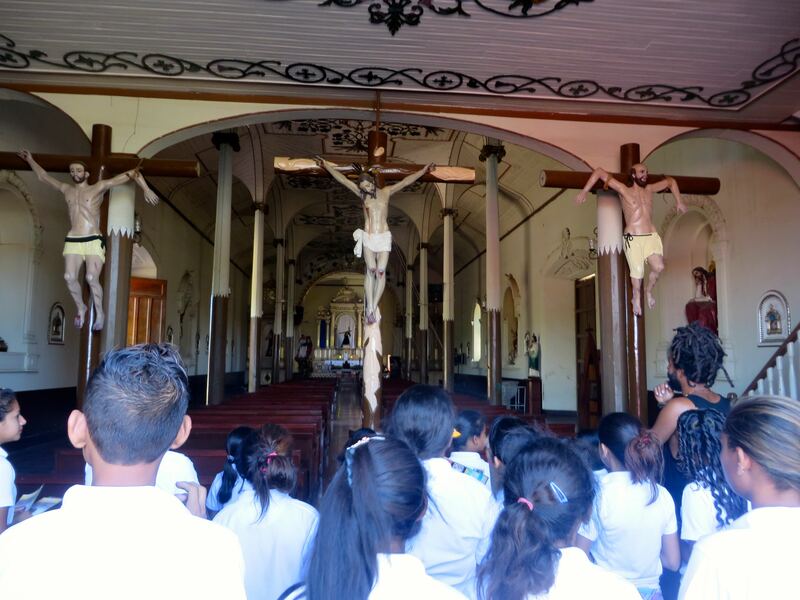 While we were there, we also learned about the cathedral’s construction, its decorations, and about the tomb of Ruben Dario (Nicaragua’s most famous poet), which is found in the cathedral. The students then had the opportunity to walk around the inside of the cathedral searching for everything that was mentioned by the guide. Everyone on the roof of the cathedral. Once we left the cathedral we were ready to cram back into our microbus and head back to Chichigalpa. Our students were exhausted, but this buzzing from the day’s excitement. This was such an incredible experience for them to know a new part of their country’s history and beauty. They loved every moment of it! Rafael, Eduardo, Jose Antonio, and Josue outside of the cathedral.